FOUR of Dublin's 2018 Allianz League winning panel have opted out for the rest of this season and will spend the summer in the US. Three of the quartet, Shane Carthy (St Vincent's), Ciarán Reddin and Emmett Ó Conghaile, played some part in this year's successful Division 1 campaign. The fourth, Shane Carthy (Naomh Mearnóg), was also part of the squad this spring. None of the four were involved against Wicklow in Portlaoise two Sundays back, having made their decisions in advance of Dublin's Leinster SFC opener. Vincent's man Carthy started two games during this year's League and came on as a substitute in Dublin's victory over Galway in the final. 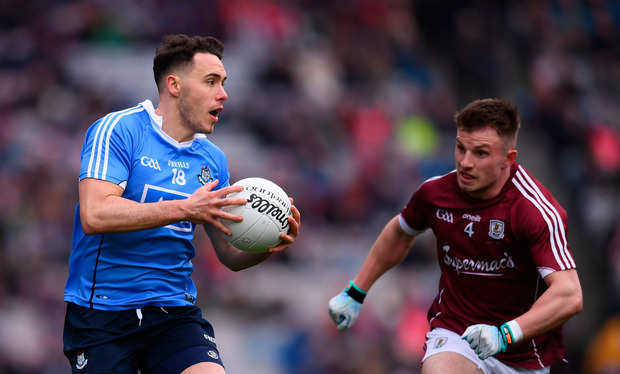 He is the only one of the four to have played Championship football in 2017 after appearing as sub in all three of Dublin's Leinster SFC games. His exit - and the ongoing absence of Diarmuid Connolly - means there is currently no player from the reigning county champions on the Dublin panel. Cormac Costello is the likeliest of those who missed the Wicklow game through injury to play some part against Longford on Sunday after his recovery from a recent hamstring problem. Jack McCaffrey has also returned to club football after the cruciate ligament injury suffered in last year's All-Ireland final while Cian O'Sullivan has returned to training but won't be involved on Sunday. John Small and David Byrne are again set to miss out through injury.